TransCanada Corp. is killing its Energy East pipeline project. It had asked the National Energy Board to suspend its review of the project for one month after the federal government changed the rules, asking the company to account for all upstream and downstream carbon emissions from any hydrocarbons that might flow through the pipeline. Now it has announced it is totally cancelling the project. Moosomin was an important part in the Energy East proposal. 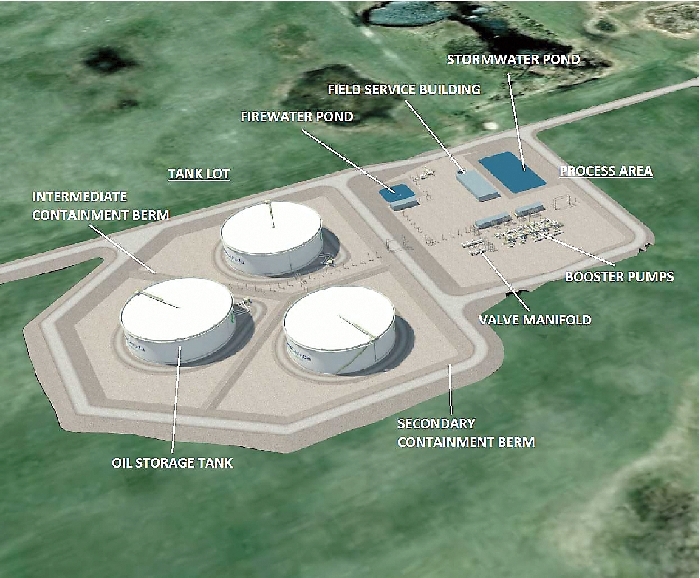 TransCanada has planned to build a massive tank farm at the Moosomin compressor station, a feeder pipeline from Cromer to Moosomin, and a separate pipeline, the upland pipeline, from Williston, North Dakota to Moosomin. "After careful review of changed circumstances, we will be informing the National Energy Board that we will no longer be proceeding with our Energy East and Eastern Mainline applications," chief executive officer Russ Girling said in a statement. "We appreciate and are thankful for the support of labour, business and manufacturing organizations, industry, our customers, Irving Oil, various governments, and the approximately 200 municipalities who passed resolutions in favour of the projects." "As a result of its decision not to proceed with the proposed projects, TransCanada is reviewing its approximate $1.3-billion carrying value, including allowance for funds used during construction (AFUDC) capitalized since inception and expects an estimated $1-billion after-tax non-cash charge will be recorded in the company's fourth quarter results," it said.